Savage & Whitten’s focus on growth within its Today’s symbol brand has made a significant stride forward with the addition of Today’s Donore near Drogheda. Savage and Whitten, the Newry-based independent wholesaler behind the Today’s symbol brand in Ireland, has reported strong growth in 2017, with ten new retailers already committed to the fascia within the first quarter. Now it has taken a significant stride forward with the addition of Today’s Donore, a main street store in the heart of a historically significant area. That’s welcome news for business development manager (BDM) Arron Potts, who has been part of the team spearheading S&W’s Irish expansion plans for the last 30 months. Speaking to IF&CR this month, Arron described recent activity levels with the wholesaler as “fantastic”, and welcomed the addition of Today’s Donore as a “significant step” with proprietor James Matthews given its location and potential. “This year has been particularly surprising with growth rates even better that we had anticipated,” he said. “The new stores will be located all over Ireland where we are anticipating double-digit growth for the rest of the year. 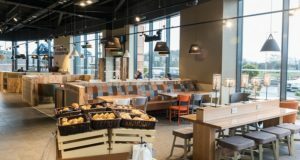 The Donore outlet underwent considerable refurbishment in both the exterior and interior, and is packed with modern offers, such as an enticing deli area and branded coffee dock. Local workers and visitors, meanwhile, can relax in the comfortable seating area and enjoy the free WiFi. 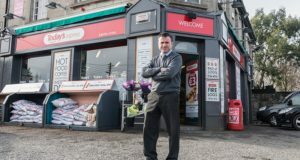 Located at the nexus of the village, at the intersection of the Main Street and main route to Tayto Park, the store is very much at the centre of community life, this is evident in James Matthews approach to retail and his engagement with the local community. 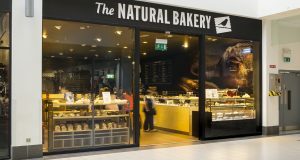 “This new store allows us to execute our marketing strategy in the local community and offer them superb value on everyday brands with offers every three weeks,” Arron said. Savage & Whitten currently has more than 130 Today’s outlets in Ireland – 25 of them South of the border. The team behind the Today’s symbol brand is committed to growth throughout Ireland, and are demonstrating with the Donore store that they are achieving high standards and levels of customer care across the wholesaler’s retail estate. “We’ve been delighted with performance so far,” said Arron. “What we are able to bring is a fresh approach to retail. We’re able to deliver competitive pricing across all categories, a comprehensive central billing solution and a model that appeals to retailers and doesn’t come with any fees.